Go make this pie, and then call me immediately because I’m coming over with a fork. To make the crust, add Crust Ingredients to a food processor and process until a ball of dough forms, stopping and scraping the sides of the bowl. Start with a few tablespoons of almond milk and add more if necessary to bring to a desired consistency. Be careful not to over process the crust into a nut butter. Transfer the dough to a 9″ pie dish and flatten on the bottom and sides with your hands to make a pie shell. You can make a pretty rim using the fork. Give food processor a rinse, wipe with a towel and add Filling Ingredients. Process until smooth, pausing and scraping the sides of the bowl. Pour filling into the prepared crust and smooth the top with a spatula. Sprinkle with chocolate chips (optional), cover with plastic wrap and freeze for 3-4 hours or until frozen. Thaw on a counter for about 30 minutes before slicing and serve. Recipe and images courtesy of @ifoodreal. Thank you so much for sharing, Julianne! Can you do a post about you’re hair perm! I really want one and I would like to know if you liked yours and how it affected your hair ? Just made this, and it’s delicious! I’m on a dairy free diet (thanks to eczema on my breast fed baby! ), so this dessert is perfect for me. 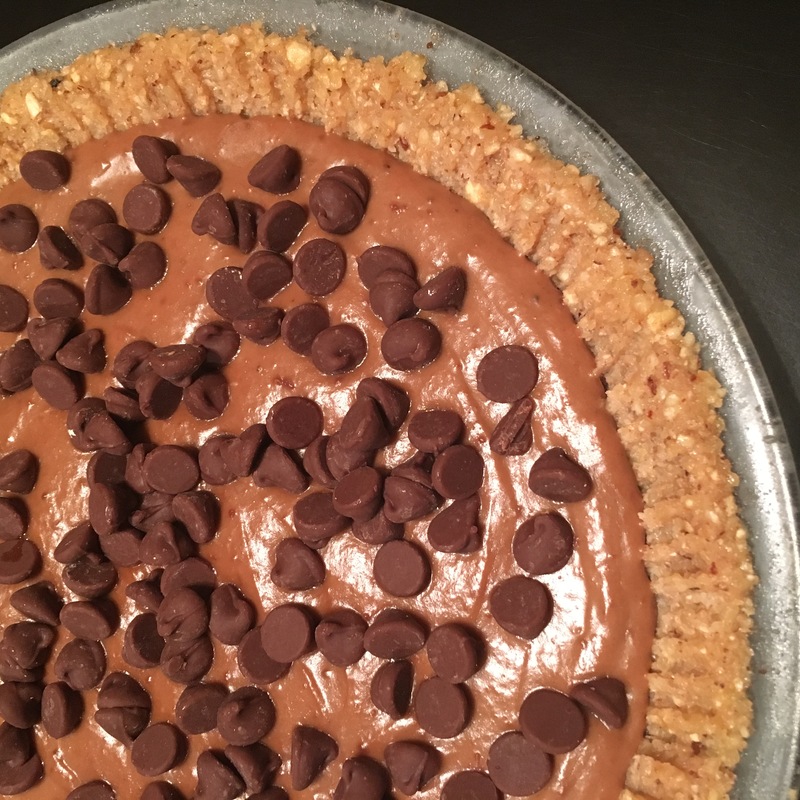 I used dairy free chocolate chips, and my husband didn’t even notice! Win win for us. In the future, I think I’ll make the filling as a pudding and top it with cinnamon and walnuts. So good, thank you so much! !